While browsing the Sports page this morning, I was pleasantly surprised to learn that Šarūnas Marčiulionis has been elected to the Naismith Memorial Basketball Hall of Fame. Many congratulations to Šarūnas, and many props to the Hall of Fame, which has always done a great job of recognizing international contributions to the game. For those too young to remember, Šarūnas was already playing in the premier Soviet league when he was drafted by the Golden State Warriors in 1987. He excelled in the NBA, and was integral to the success of his team’s high-flying and much-beloved Run TMC offense. In my opinion, Šarūnas was at his peak during the 1992 Olympics in Barcelona, the first summer games of the post-Cold War era. Sarūnas’s home country of Lithuania had recently declared its independence from the Soviet Union, and Šarūnas almost single-handedly organized a national basketball team in time for the Olympics. You may recall that the team’s freedom-loving spirit so inspired the Grateful Dead that band members eagerly sought to sponsor the team and pay for some new duds. 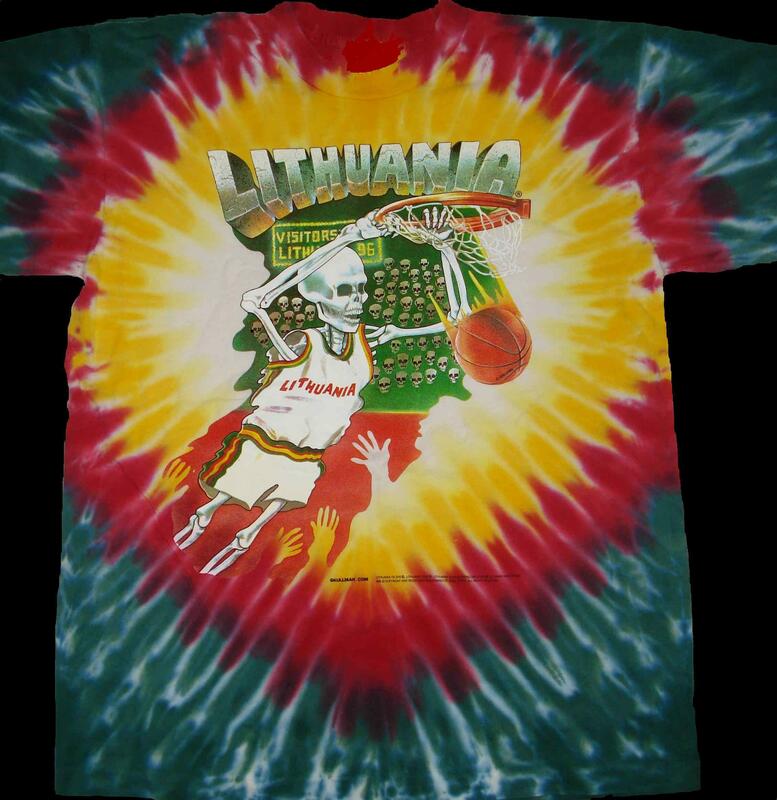 Sure enough, when members of the Lithuania national team joyously accepted their bronze medals in the summer of 1992, they did so adorned from head to toe in tie-dyed garb. Truth is stranger than fiction. To learn more about Šarūnas Marčiulionis and the Lithuania national team, check out Marius A. Markevicius’s recent documentary, The Other Dream Team.